I hope everyone had a safe and fun Halloween! I can’t believe another Halloween has passed! We had a whole week of holiday fun! First we had the challenge of getting Sawyer to put on his Halloween costume. 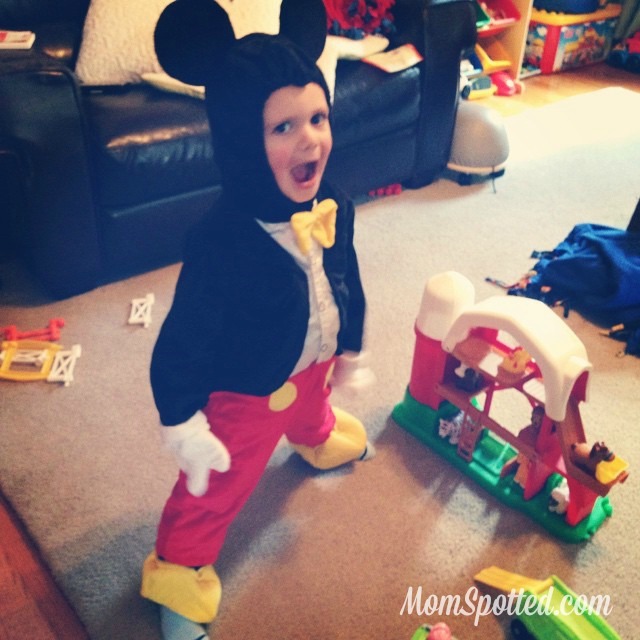 Of course with his deep love of Mickey we only thought it would be fitting that he get a Mickey costume. We found this awesome one at Babies R Us! How cute is he once he was convinced putting it on was worth a lollipop! 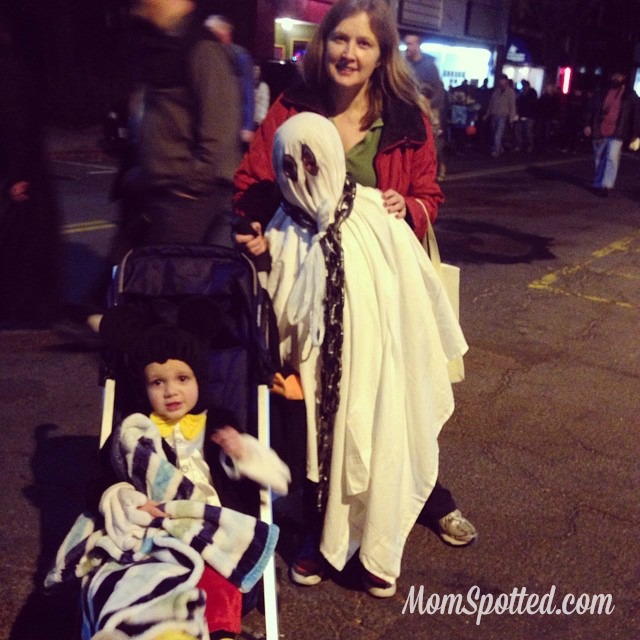 Our first Halloween celebration was our annual Rag Shag parade the city next to us puts on every year! I’ve done this parade every year except Johnny’s first Halloween and this year was the first year Johnny didn’t join us. It wasn’t because he thought he was too old though. He had his last for JV Soccer and it was also seniors night so they make a pretty big deal out of it. 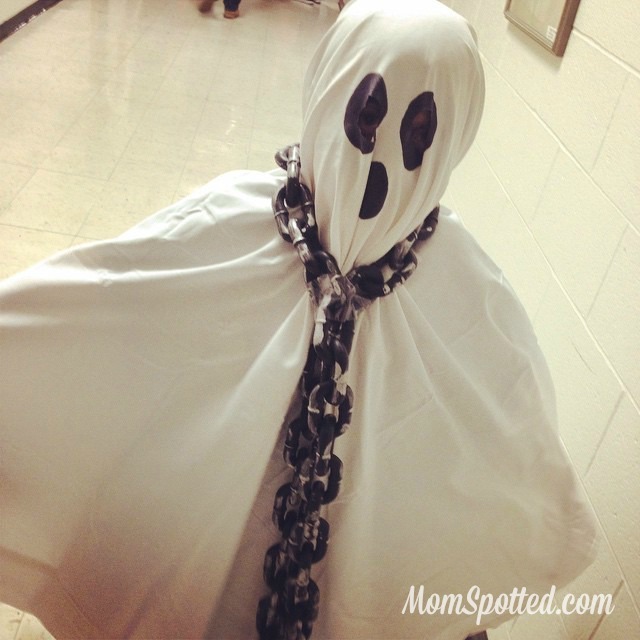 Out of all the Halloween options in the end Gavin asked if I could make him a Ghost costume! I think I pulled it off pretty well! 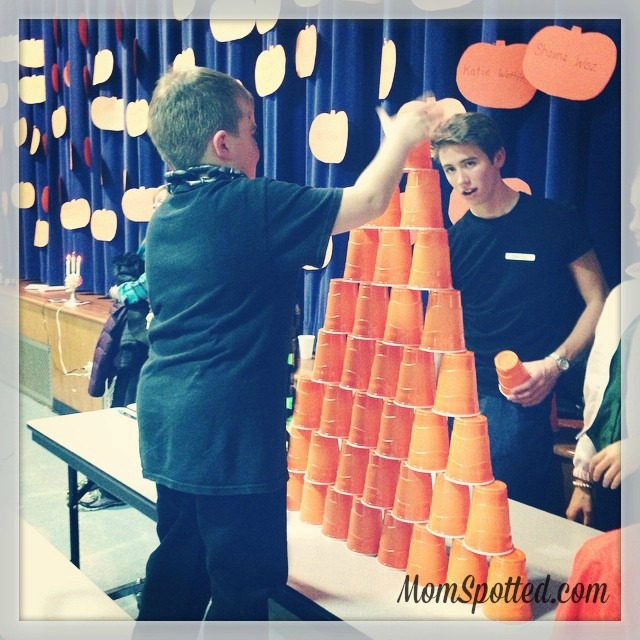 Gavin & Sawyer also attended the elementary school celebration. Sawyer was not liking anything that was bloody or scary. He kept his distance from anything he was unsure of and pretty much just stood on the sidelines for the first hour just holding daddy’s hand. Gavin on the hand jumped right in. He ran around with friends, danced in the gym, and by the last hour stripped his costume off and was playing all the games. Johnny finally joined in the fun on Halloween night. You can’t see here but we added a makeup beard and he dirtied up old clothes and cut and ripped a few holes in and went as a bum. I kept joking he looked more like eminem. Poor kid is 13 and we told him we have no problem letting him still go out as long as he made the effort to dress up. No one likes those teens that put in very little effort and then just expect candy. However, whenever he’d go up to the door everyone handed Sawyer a handful of candy and then told Johnny to have a good night. At 5’11” people often don’t realize you’re still in middle school and not the guardian. Shortly after he met up with friends and it was just Gavin and Sawyer. Gavin couldn’t get to the next house fast enough and was constantly being told to slow down. Sawyer was on quite the roll too! He walked over a mile on his own and thought the idea of going door to door for candy was just the best idea ever. That was until he saw this spider. He decided some things just weren’t worth a candy bar. The funniest part of the night was after everyone handed him candy he would then say “Thank you, shut your door now”. I guess he really does hear us when we tell them to turn off lights and to close the front door. We had a fabulous Halloween and made many memories. I’m so excited the holidays are upon us and can’t wait to make more memories! What was your favorite Halloween memory from this year? 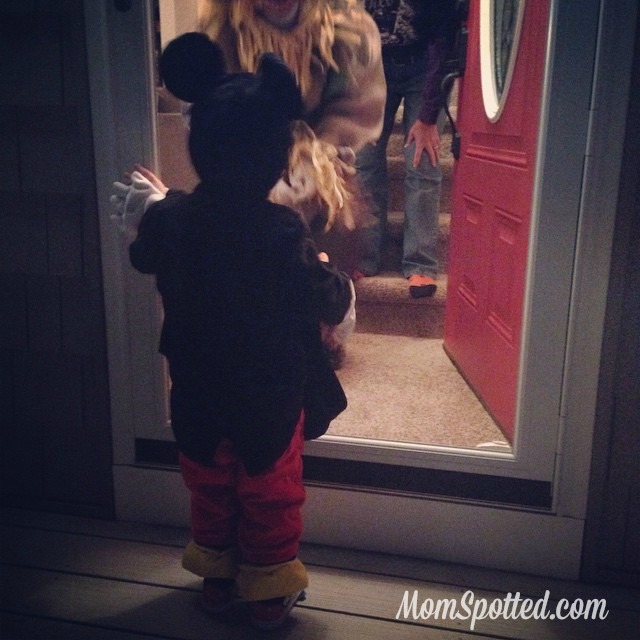 Love the Mickey costume, not only was it cute but it kept him warm, Halloween night was pretty cold here. They look great, and you did pull off the ghost well. I wish people would give middle schoolers, or even high schoolers more slack. YOu don’t have much kid left in you when you’re older like that…I say let ’em enjoy it while they can! How cute is Mickey! It looks like you had a wonderful Halloween with your family. It was one of our best years yet. Can’t wait until the next holiday! Wow 5′-11″ I had no idea he was that tall. I’m with Sawyer on the spider. No candy is worth that. He looks super adorable as Mickey, but then again he always looks super adorable. We had a fun Halloween despite it being really cold. 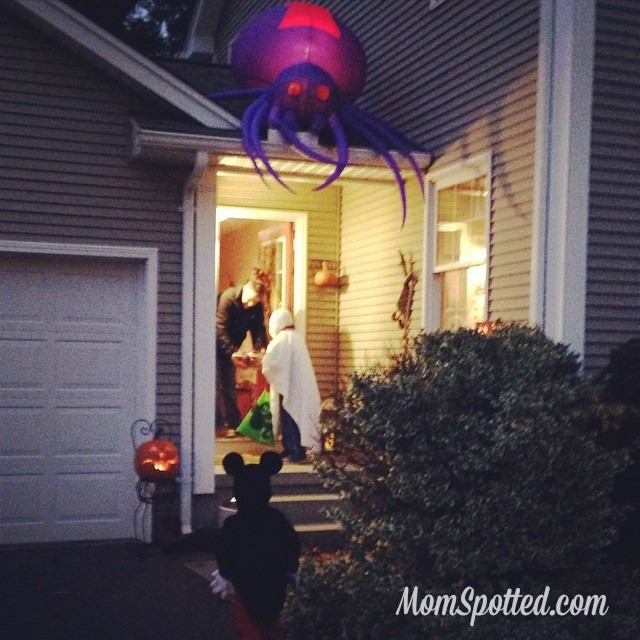 I love that your son was telling people to close their doors after they gave him candy. So cute! Aw so cute!!! And I agree…your oldest did look a bit like Eminem! It really looks like you guys had a nice time!! What stuck out for me this year was when my son’s friends realized it was me in my Elasti-Girl costume. 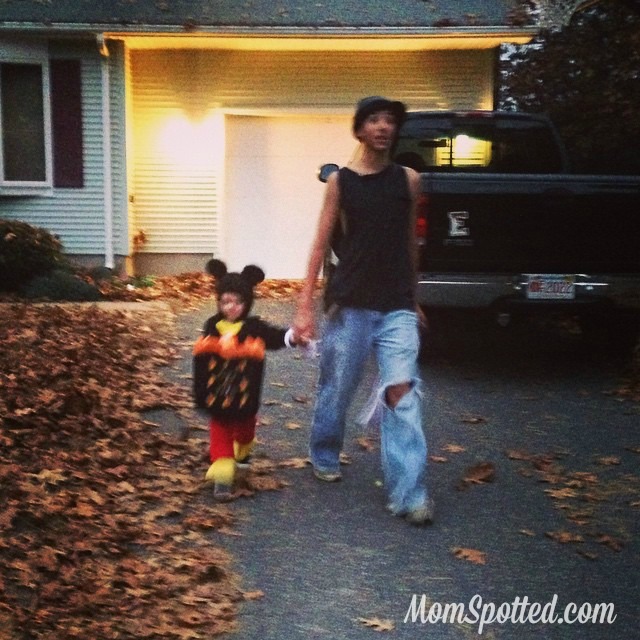 LOVE that Mickey costume!! My kids and I went trick-or-treating with friends from church. We had a blast! Thank you and shut your door. That just gave me the best giggle! I always enjoy keeping up with your family on Instagram. Love the idea of a Halloween parade- we don’t have those here. He’s pretty tall for his age! I guess I can understand why people had mistake him as being the guardian. And, Sawyer’s costume is so adorable! Oh, I love that Mickey costume. He’s so cute in it! Then again, Sawyer looks cute in anything! We have a rule if you dress up you aren’t too old but I know some people are rude to older kids, if they put in effort then who cares! Looks like everyone had a great Halloween. He is a tall middle schooler! I just love that Mickey Mouse costume. Sawyer looks great. 5’11!?!? in MIDDLE SCHOOL!? That is incredible. My gosh that is as tall as my husband LOL Is your hubby really tall too? We had a hockey game that night so we made it a family affair. They had face painting and trick or treat stuff going around so it was still fun – even though it wasnt your typical Halloween. Love their costumes! We had a really fun night, too. At least when no dogs were at the door. A bit of a scare with one house on that one, but it all turned out alright. We have a Halloween parade in our neighborhood every year. It’s always a fun time and as the girls are getting older it’s even more fun. This year we were able to stay out later since it was a Friday night and we also hung out with friends afterwards. That’s always a great time too! Aww…. I think the problem for your older son was that some teens dress like that regularly. Sad but true. Wow your son is tall. 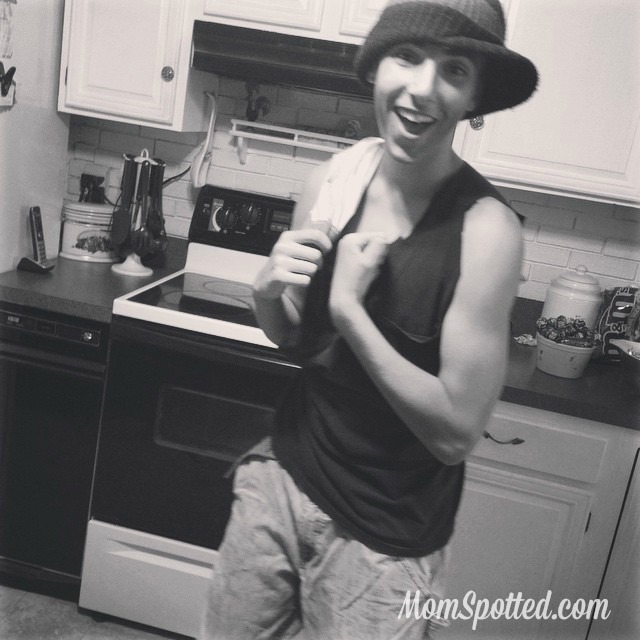 My oldest is 17 and now stands over 6’2″ yes I feel like a real shorty when I stand next to him. We didn’t do trick-or-treating out here but did go to the Wild West Fall Fest and watched cowboys have a shoot out and play some games. Later the kids and I would gather around watching Halloween Cartoons and movies. The next day since it was too late to have our traditional party we had it. We did the Halloween menu and ate Snacks, eyes, leeches as they swam around a bloody swamp. Definitely have memories. I think I’ll be torn next year as my oldest will have moved away and it’ll just be me and his 4 siblings. This was definitely a year I made memories that lasted.Love the three costumes. My favorite Halloween memory from this year was seeing how happy my oldest was to go trick-or-treating with friends. I was close by but she was all grown up. How times have changed! 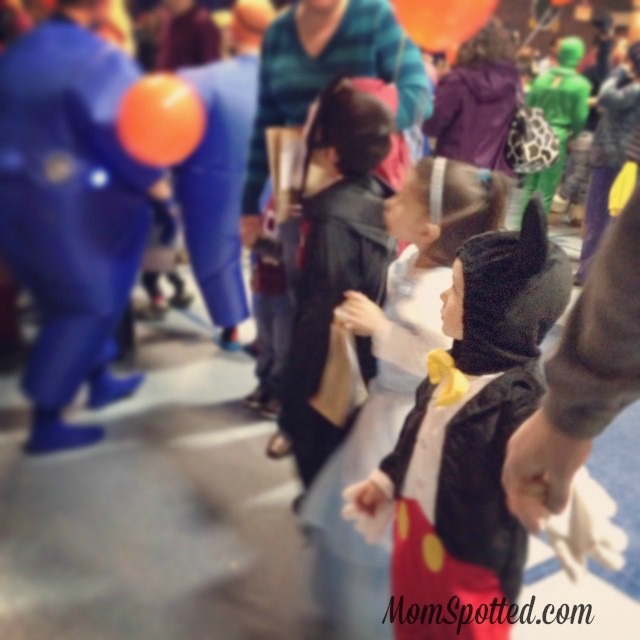 S has to be the cutest Mickey Mouse there is! I’m sure he had lots of fun in character! How fun! We love Hallowee, your photos are adorable! What a little doll he is! I love that he told them to shut the door! Sawyer looks adorable in his costume and I like Gavin’s costume as well. I think people tend to be a little judgmental towards the older children. I see nothing wrong with the younger teens trick-or-treating as well, if they put the effort into dress up.